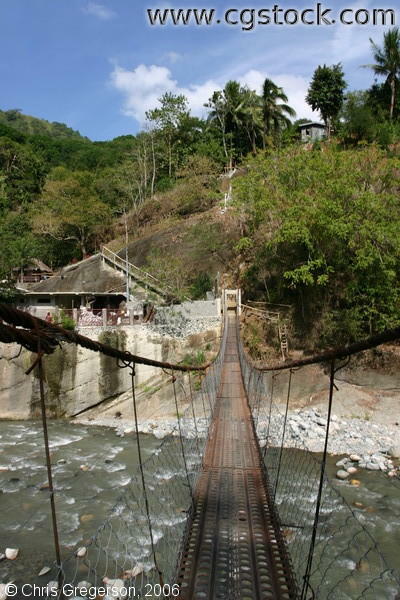 This is the famous suspension bridge to be seen as you go along Kennon Road. A shallow river flows below the bridge. Smooth rocks adorn the banks. Various trees and plants are to be seen on the hill next to this bridge.